You may not use Morse code a whole lot these days. Learning it can still be lots of fun. 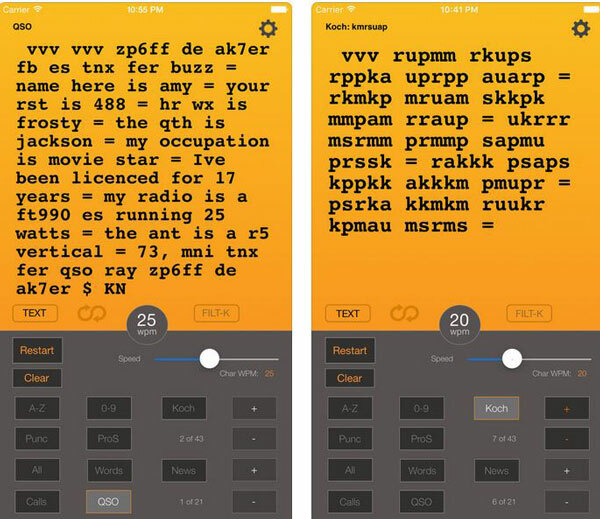 Ham Morse for iPhone is a handy app that helps you learn and practice Morse code on your smartphone. It lets you adjust the frequency from 220Hz to 900Hz. The code is sent at a rate of 15 words per minute. The speed can be adjusted. The app gives you practice on random letters to current news stories from around the world. It uses the Koch character progression. Ham Morse gives you practice on the most common words, punctuation, numbers, and everything in between.